Above: My Root Guru, His Holiness, Living Buddha Lian Sheng. 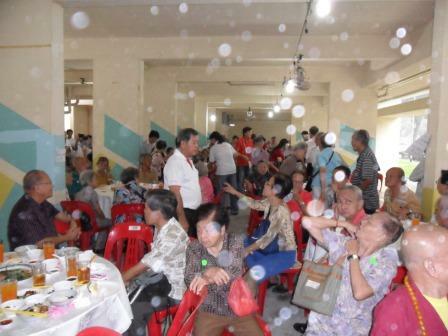 Above: A function by Lotus Light Charity Singapore for Senior Citizens and happened to be my birthday! Below: Photo taken during one of Pure Karma’s homa, and the abundance presence of Light Orbs! 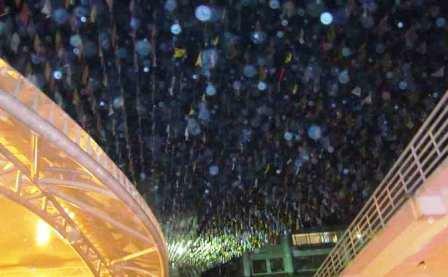 Below: See the abundance of Light Orbs too at Taiwan Temple after GM Lu’s event? I would like to drum in the same message that as GM Lu’s students, All of us can learn the same and be able to Execute Immeasurable Transformation too! However, You need to Bear steadfastly in mind the factors of Boddhicitta and Wisdom! Above: A variant which I concocted with Ingredients at hand! 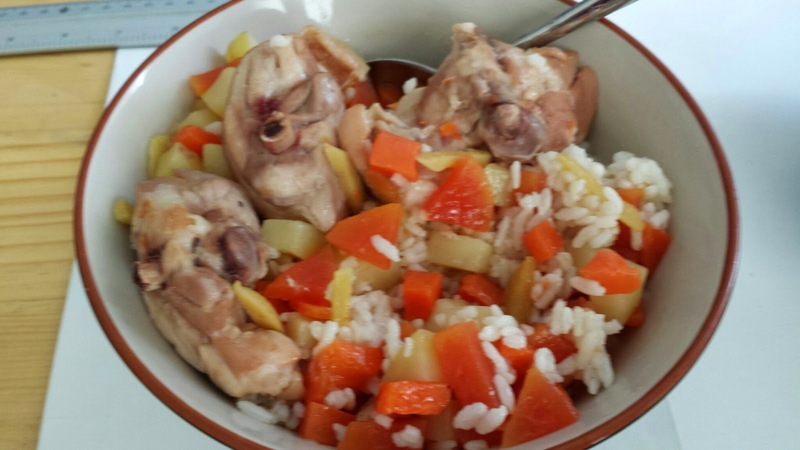 Ingredients: Chicken, potatoes, carrots, papaya, ginger, oyster sauce, salt, sugar, cooking wine, water, rice. Let us recap on GM Lu’s statements or comments on my 7 November 2009’s maiden dharma speech in Seattle Temple. Therefore, just now Reverend Lotuschef’s statements of [4 Immeasurable Heart], [Boddhicitta], [Benefit Others’ Heart] of most import, that is Mahayana’s Buddha Dharma, CAN attain Buddhahood. Back in November 2009, GM Lu has told you that Reverend Lotuschef’s ” Can Attain Buddhahood”? AND, have I not showed you all what Zen Patriarch Hui Neng has done too? Not only those that are wealthy and have means to go to school to get an education can learn and practice and attain Buddhahood!!! Although many think that Resources that are of Vital Importance are $$$ & Academic Qualification, but in actual fact, these are often hindrances in the form of Fixation which resulted from Ignorance!!! Pure Karma charges SGD 10/ each for a lotus offering for those not attending the event and SGD 15 / each for those attending. This refute the mindset that only those that are wealthy can do offering to Buddhas or Divinities! 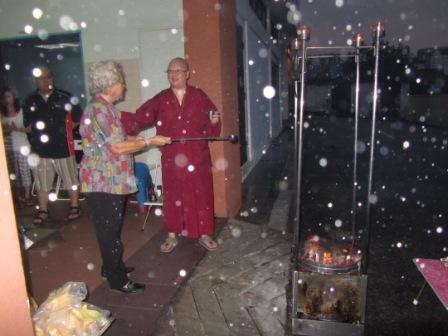 Also the surplus funds collected mostly went to Charity and the Donor is recorded as GM Lu, Living Buddha Lian Sheng! So, the Fees you paid for Offering also used for Charity in GM Lu’s name, and just like your offering of appreciation in the form of $$$! TIME to really Wake Up!!! See who is leading you slowly and steadily along the Bodhi Path to Buddhahood!